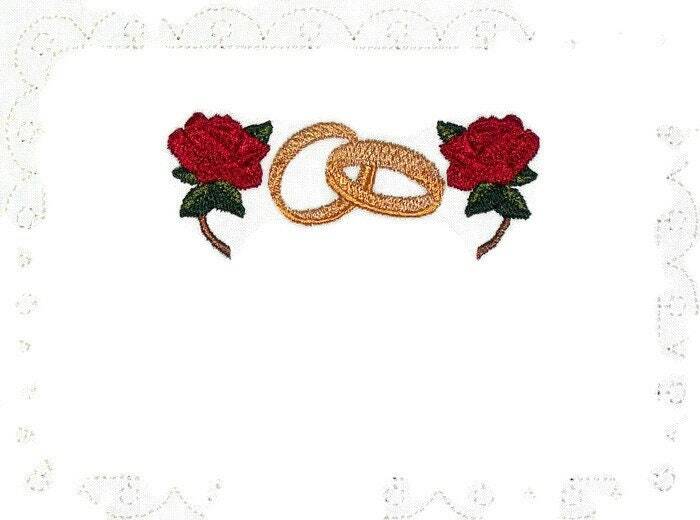 Beautiful Red roses & wedding rings embroidered quilt label. Surrounded by a lace eyelet border. Measures 17m x 12cm (6.5" x 4.75").